After 3 years of fighting to get her daughter home from foster care, South Carolina mom, Kaya Thomas, has been given a new hoop to jump through. 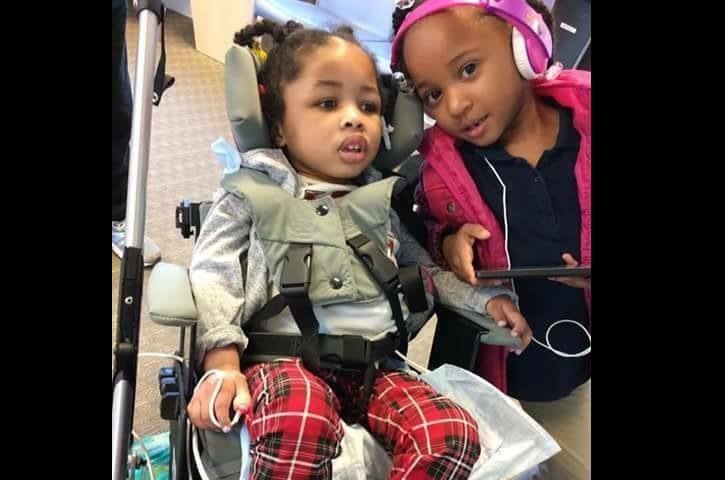 She was told in court on April 18, 2018, that she has to get a bigger vehicle by the beginning of June as a condition for Kaya to begin unsupervised visits with her daughter, Egypt. Kaya Thomas did not abuse her daughter. This fact is not even in dispute. Egypt was the victim of a crime perpetrated by her biological father when her mother was not present. For that, he is behind bars. Yet, three years later, an innocent mother is still fighting the system to get her daughter home. She is not financially in the position to be able to go out and get a bigger vehicle. She only has a month to get it. Social workers have told her that if she sets up a GoFundMe type of account to ask for help, that will be used against her. How do parents fight this kind of tyranny? All Kaya Thomas wants is for her little girl to be home where she can love her and take care of her. Will the lack of a larger vehicle really keep the state from returning a child to her mother? If her current vehicle cannot accommodate a ramp for the wheel chair, she will have to get the one that can or should have thought of doing so, before the SS (a.k.a. Social Services) told her that she must. Given the physical limitations of the child, this would be viewed as a reasonable condition by any judge, which is why Kaya's lawyer cannot do anything about that. If Kaya wants to have her child back, she has to be keep one step ahead of that organization. In the nazi Germany, the abbreviation 'SS' stood for 'Stutzstaffel'....Some historians referred to SS as a "State within a state".. SS Einsatzgruppen were responsible for the deaths of millions of people. Based on what we are reading here, it looks like something similar to SS has been established in 'land of the free', The disturbing fact is that it has been on the rampage here for almost twice the time that the nazis lasted in Germany, which was 12 years. The Adoptions and Safe Families Act was signed almost 21 years ago. Trump could have reversed that act and shut down the CPS with one stroke of his pen, if he was indeed a 'people's' president . Yet, he sends more of taxpayers' money to the organization that has been destroying America's families for 21 years.